Denon, or Kabushiki Kaisha Denon in Japanese, is an electronics company that founded in Japan way back in 1910, building gramophones and single-sided records. The brand's various products command a lot of respect in the audio video community to this day. In early 2007, Denon entered the headphone world with two well received headphones: the AH-D2000, with black plastic ear cups, and the AH-D5000 with mahogany earcups and a higher spec cable. Later, the company would release the high-end Denon AH-D7000 with a more powerful and resolving Neodymium driver, along with a variety of other in-ear and over-ear headphones. 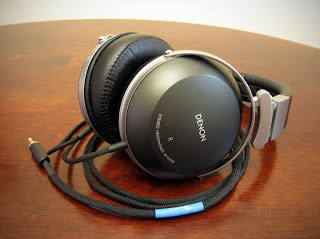 Despite the high spec'd cables included in the higher end Denon headphones, I've found that they benefit highly from a recable, probably more than any other headphone aside from maybe the Sennheiser HD580 / HD600 / HD650 series. Today the Denon AH-D2000 will be getting a Zynsonix Xev recable to elimate the stock cable that's holding it back. It's also going to be used for portable duty, so the replacement cable will be shorter and more flexible. 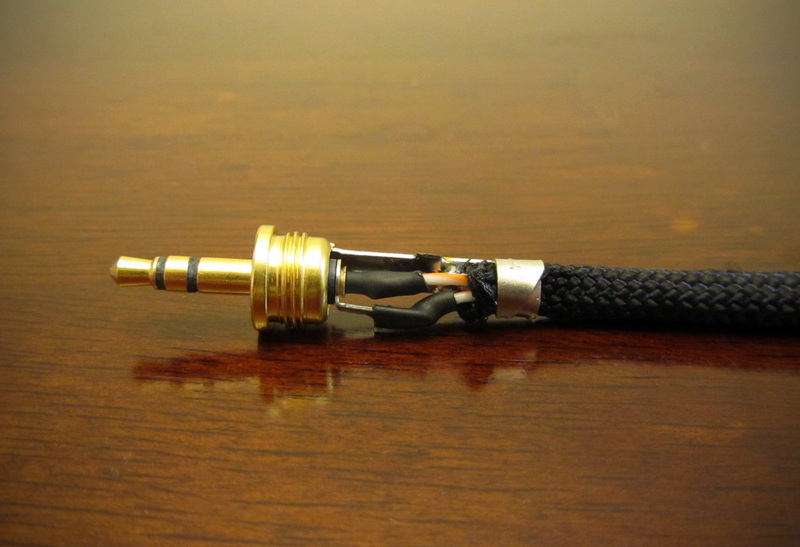 The first step is to trim the wires to be braided for the new headphone cable. 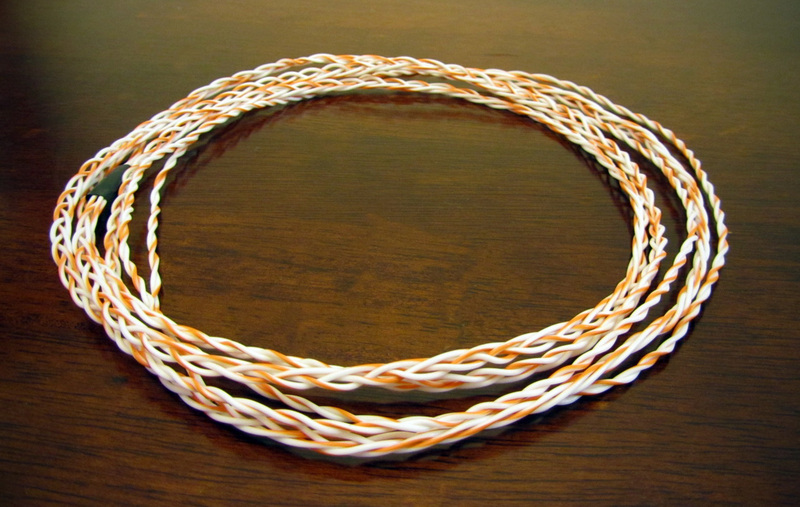 This cable would be approximately 5 feet, but this does not incorporate the wire lost within the cups and length lost during the braiding process. Because of this, the wire needs to be measured longer and trimmed down after the braiding process to the size needed. 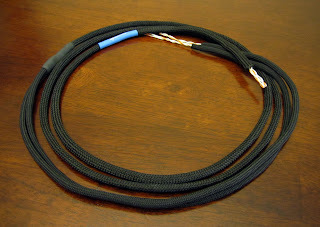 The Litz braid is done by hand and helps the cable maintain geometry over the whole length and can help reject EMI / RFI. The braid can be done tightly or loosely depending on preference. At the split of the cable where it separates to enter the earcups, the braid is converted to two separate twisted pairs. 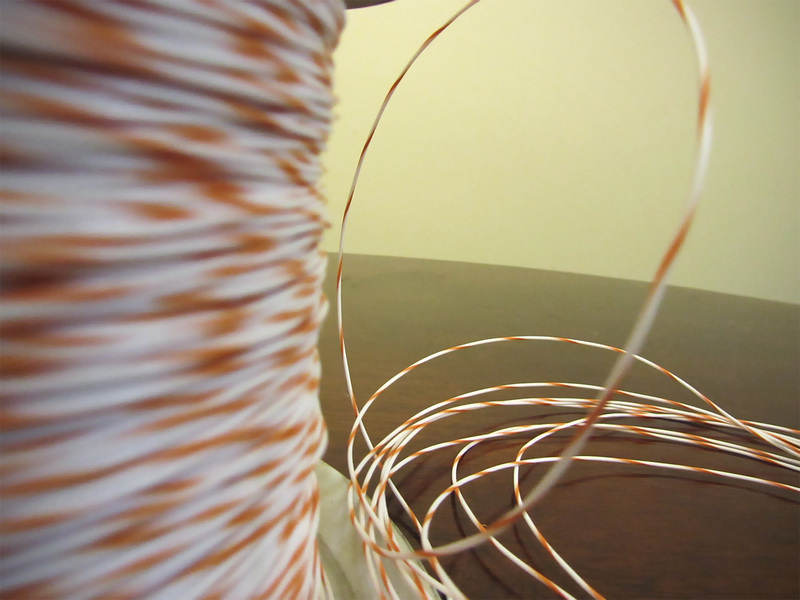 After this process is complete, the cable is sleeved, in this case with non-microphonic soft black nylon multifilament. This sleeving requires a hot knife so that it doesn't fray after being cut. 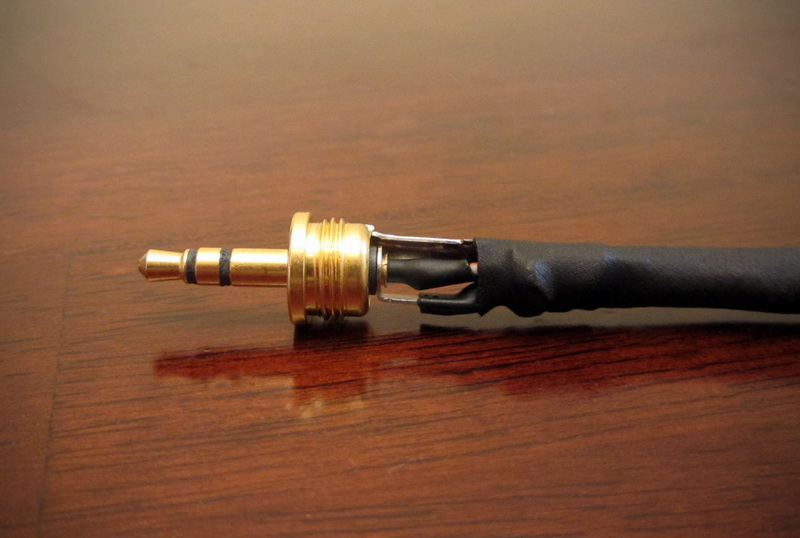 The Zynsonix logo heatshrink is also placed on the cable during this stage. Now comes the process of adding the Switchcraft 35HD 3.5mm connector. 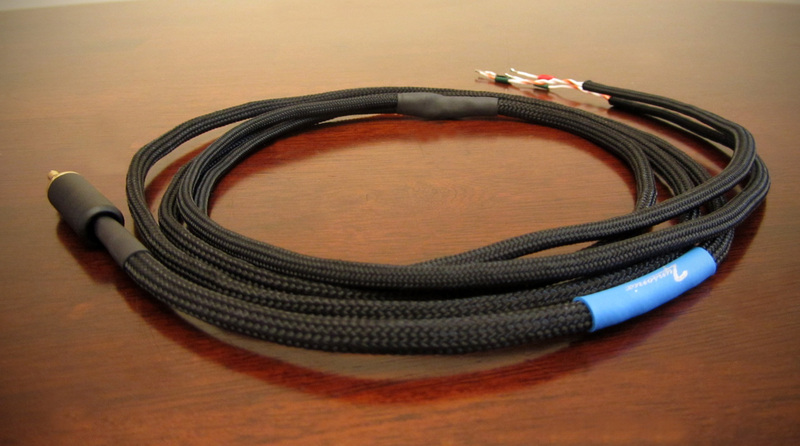 The twisted pair wires are labelled with electrical tape so that it's known where each will connect to the right and left headphone drivers. Green tape was used for ground, red for right signal and black for left signal. The conductors were then stripped and tinned with solder on both sides so that a multimeter could trace the signal from one side to the other to ensure that the wires were being soldered in the right places on the Switchcraft. 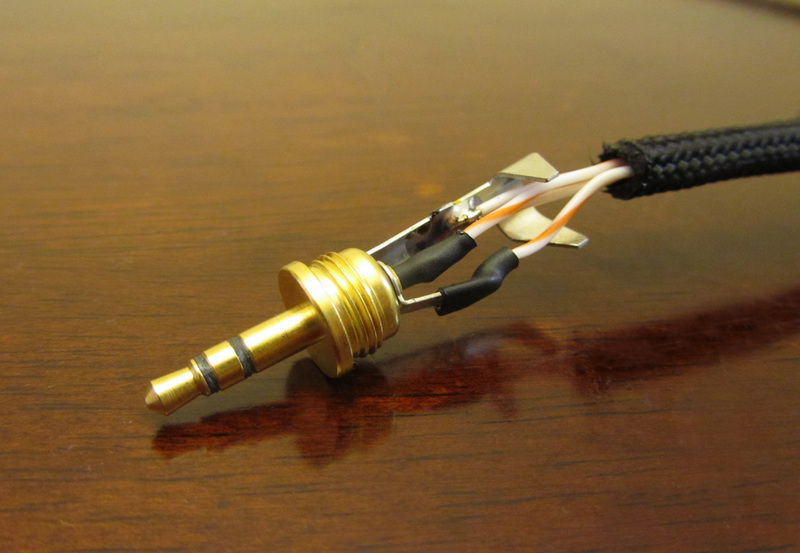 Once the wires were soldered in place, black heatshrink was used to ensure no possibility of shorting. Once the connector has been soldered, the sleeving is pushed into place and crimped using the ground connector on the plug. 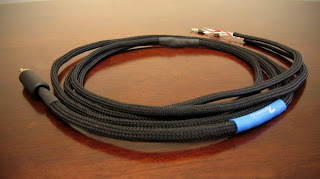 After the crimping is complete, a piece of black heatshrink is used as a strain relief system. Finally, the barrel can be screwed over the connector and this side of the cable is complete. 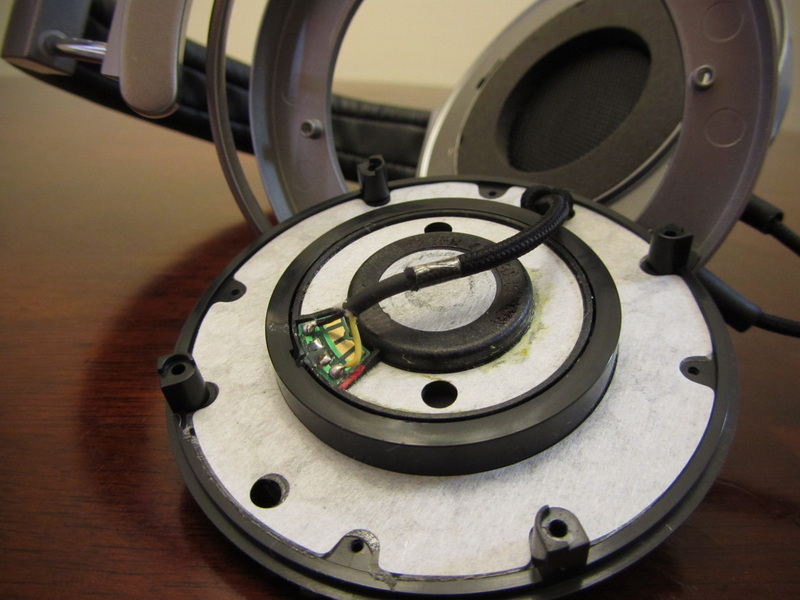 The Denon headphone earcups each have two sets of four screws and earpads that must be removed in order to gain access to the inside. A solder joint should be shiny as it indicates good conductivity and virtually ensures that it is not a cold joint. I believe Denon is using tin solder which is not easy to achieve a shiny joint with, and in most cases the joints on the stock headphone are not shiny. The stock wire is completely removed and all stock solder is removed from the solder pad with a solder sucker. The new cable is fed through and tied and zip-tied as a double strain relief. the new wires are soldered to the pads using Cardas Quadeutectic solder. Nice shiny joints are ensured. 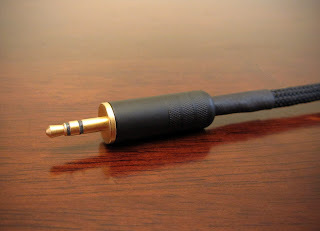 Would you like an audiophile quality cable installed on your Denon headphones (or any other headphone) or do you need them to be repaired due to the metal hardware coming loose? Zynsonix offers the service for a very reasonable price. 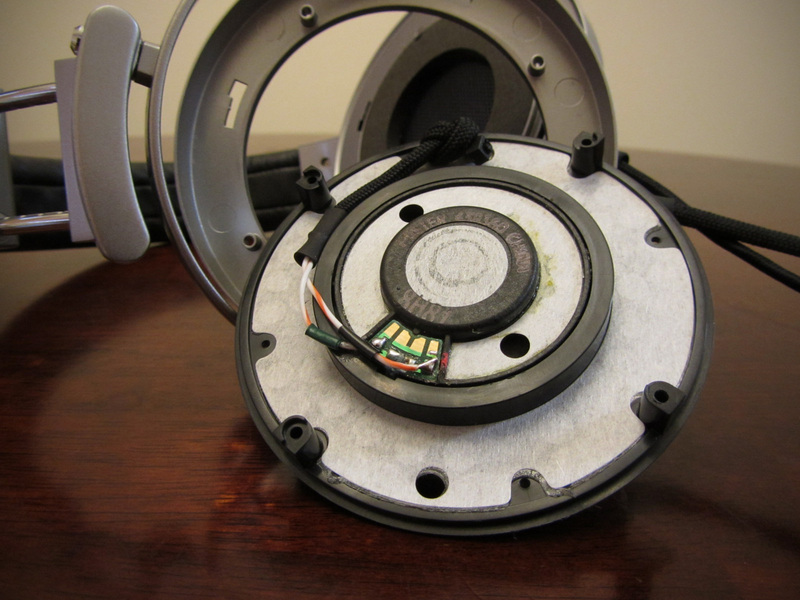 The above steps detailing the recabling of a headphone are for entertainment purposes only, and not to be performed under any circumstances. The owner of this blog and all associated parties can not / will not be held responsible if you attempt the process posted and cause physical harm to yourself, your surroundings or your property. Please keep this in mind. I design high-end audio interconnects and recable headphones at Zynsonix.com. I also enjoy building electronic components, restoring vintage electronics and creating artwork. Zynsonix Audio, all rights reserved. Ethereal theme. Powered by Blogger.